Paper is a fragile material if handled too much or put against the elements. Spillages, rips and everyday wear and tear can have an effect on the appearance of a document. Laminating can provide the protection needed to preserve the life of your document whether it be within the work place or home. One of the best reasons to laminate is to enhance your documents. Whether it be a photograph, important work material or childrens art work. Lamination will enhance the colour and make it more attractive. 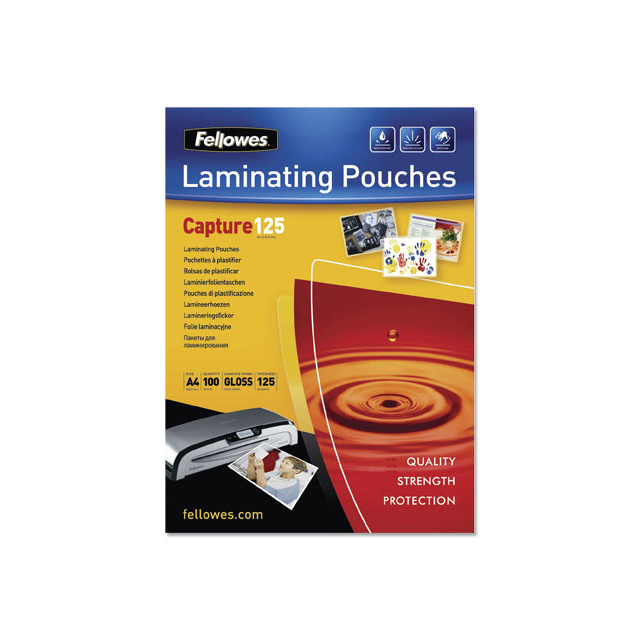 These Fellowes A4 250 micron gloss laminating pouches are ideal for notices, photos, instructions and frequently handled documents.